Witches Tower is the distinct rock pinnacle at the west end of the Enchantments just south east of Dragontail Peak . It divides the Snow Creek Glacier between Little Annapurna and Dragontail Peaks. The north side has a dark and steep striking wall as you come up from Aasgard Pass. Besides several technical routes it has also an easy scramble route to its summit. This peak can be combined with other peaks in the area to make a great outing in one of the most beautiful places in Washington State. 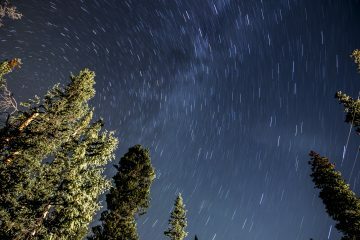 Driving Access: Witches Tower is situated at the west end of the Enchantment Basin and the best approach would be via Colchuck Lake and Aasgard Pass. The trail head is reached via Icicle Creek road south of Leavenworth. Reach Leavenworth by driving US 2 east from Everett or west from Wenatchee. At the west end of Leavenworth, turn south on Icicle Creek Road and follow this roughly 8 miles to the Bridge Creek Campground where you’ll turnleft onto the Eightmile Road (Road 7601). Follow Road 7601 (dirt) four uphill miles to its end at the Lake Stuart-Colchuck Lake trailhead (aka Mountaineer Creek trailhead). Trailhead elevation 3,540 ft. Northwest Forest Pass required for parking. Hiking Access. First hike to Colchuck Lake, then work around the lake counter clockwise and follow the steep trail up to Aasgard Pass as if doing the Enchantment Traverse. Once at Aasgard Pass pass you’ll work uphill in a southerly to southwesterly direction (originally as if going to climb the snow route up the east side of Dragontail) to reach Witches Tower. Maps. 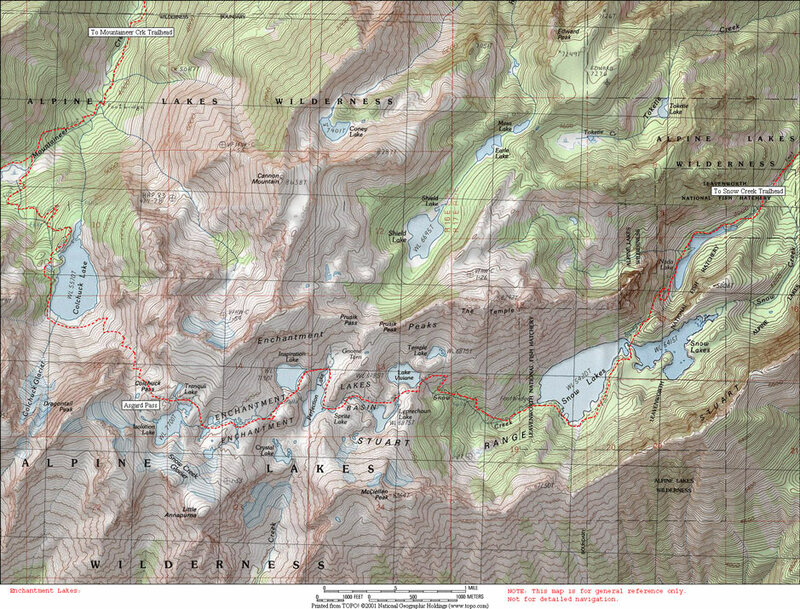 See this topo map to access Aasgard Pass. 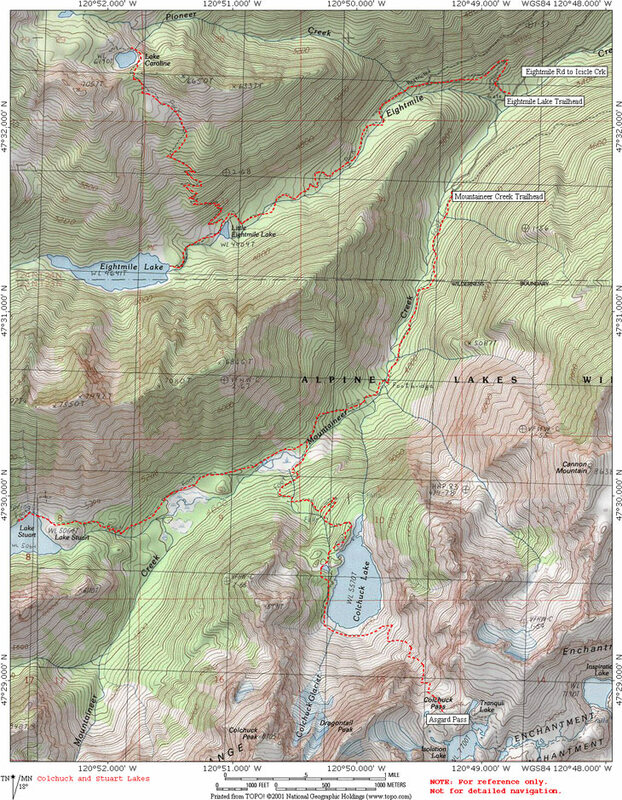 On this topo map, the Witches Towers are not labelled but are located immediately west of the label for Isolation Lake. See this Summitpost entry for information about different routes on Witches Tower.